We took over LousPlumbingFL.com from YP (Yellow Pages) who was charging Lou and his team several thousand dollars a month. The site at the time was #76 on Google for a “Daytona Plumbers” search. 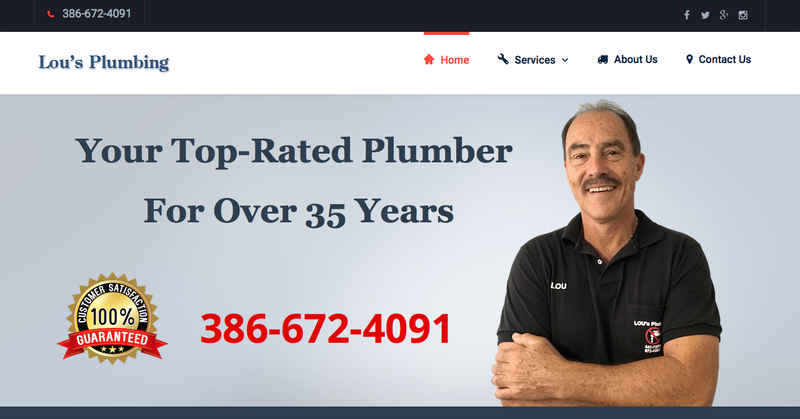 The same site is now the first plumber listed for the same search and Lou couldn’t be happier about saving over $2,000 a month!